Throughout the brief life of the Model 400, Northrop Grumman and Scaled Composites (a Northrop subsidiary since 2007) issued no detailed press releases or photos relating to the aircraft, announcing only that the Model 400 prototype would be officially unveiled in early 2017. 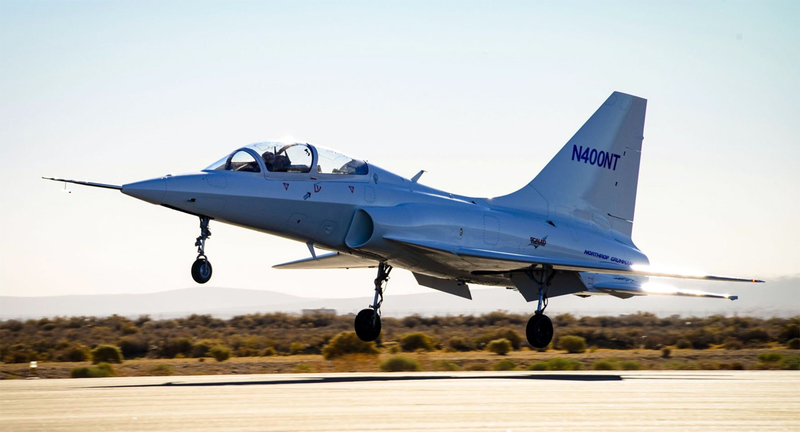 The prototype was seen and photographed during taxi trials at the Mojave Air and Space Port on August 19, 2016, revealing its FAA registration number, N400NT. This then revealed the aircraft’s Model 400 designation, its F404-GE-102D powerplant and showed that Scaled Composites had registered the aircraft on June 16, 2015. This gave Scaled Composites the challenge of “a new loads environment,” requiring the company to test the aircraft's wing structure design “for a significantly higher-G environment than we usually design to.” Newly unveiled photos of the prototype in build show that all-composite wing to be an innovative one-piece, three-spar structure. With a quoted maximum takeoff weight of 15,400 pounds, the Model 400 was lighter than the winning Boeing/Saab design and lighter than the M-346-based Leonardo T-100 or the Lockheed/KAI T-50A. Surprisingly, Scaled Composites gave a maximum speed of just 500 knots for the aircraft (325 kts was achieved during the test programme), and a maximum altitude of just 35,000 feet.